Tarantino Adds DiCaprio, Pitt for Once Upon a Time in Hollywood | Nerd Much? We’ve been hearing about Quentin Tarantino’s ninth film for a while now, but there’s yet to be anything concrete about it. That has changed though, as Sony Pictures has announced an official title in addition to the movie’s two leads. Once Upon a Time in Hollywood will feature both Leonardo DiCaprio and Brad Pitt. The movie takes place in 1969 Los Angeles “at the height of hippy Hollywood.” Rumors suggested that the story would revolve around the Charles Manson murders of that time. However, Sony’s official plot synopsis indicates that’s not specifically true. Instead of being cast as Charles Manson as many thought he would be, Leonard DiCaprio will instead be playing the role of Rick Dalton. Dalton, a former television star, is struggling to revive his dormant acting career. Sharon Tate was a promising young model and actress in Hollywood during the 1960s. On the evening of August 8th,1969, Tate was hosting friends at home while her husband Roman Polanski was in London on business. It was on this evening that members of the Charles Manson “family” broke into her home and murdered Tate along with the three friends she was hosting and her eight month old unborn son. It’s a logical guess that Once Upon a Time in Hollywood will indeed dive into the events of the Manson murders of Tate and her friends. 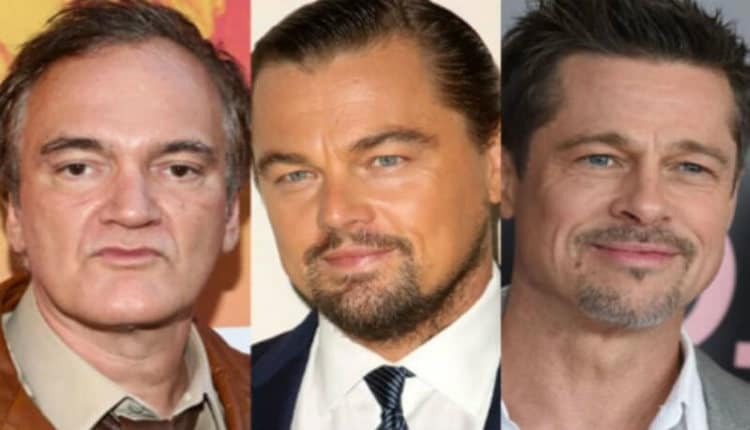 DiCaprio and Pitt as Dalton and Booth will somehow be pulled into the terrifying ordeal, seeing the situation play out from their perspectives. Once Upon a Time in Hollywood, now officially starring Leonardo DiCaprio and Brad Pitt, will hit theaters August 9th, 2019. Almost exactly fifty years after the events in which it was inspired.